The Profish Reload is fast, stable and easy to steer. The Profish Reload is easy to manage both on and off the water. 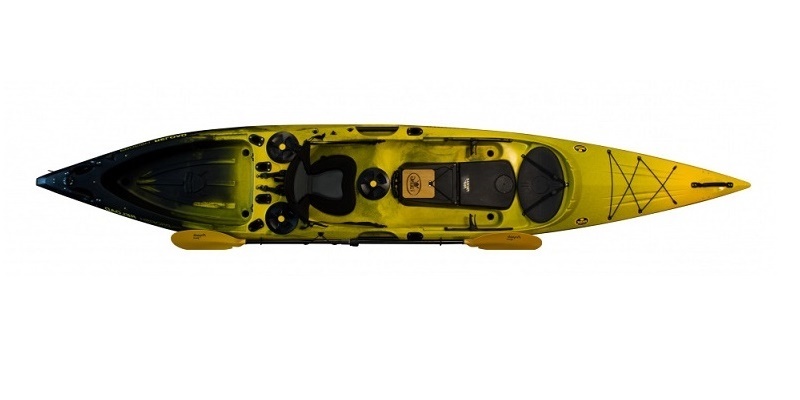 On the water the Viking Profish Reload is the kayak of choice for any kayak angler looking for a top notch touring hull combined with the stability, this makes the Reload the perfect kayak for longer distances paddling and getting to your off shore fishing marks. The Viking Profish Reload has been designed and manufactured in New Zealand and boasts the best of the features of the Profish 400 lite and the Profish 440. 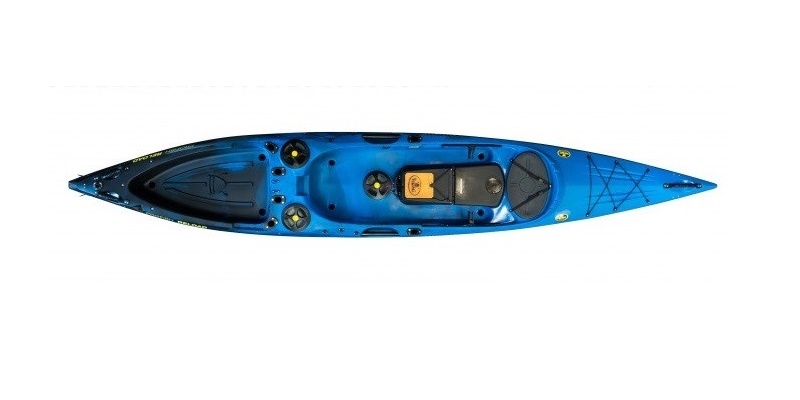 The Profish Reload’s hull has been designed to cope with all conditions, whether you’re hugging the coast line, rock hoping or paddling through choppy waters. The Profish Reload is fast, stable and easy to steer. The Profish Reload is easy to manage both on and off the water. Once off the water the Reload is easy to carry and car top thanks to the large recessed side handles. 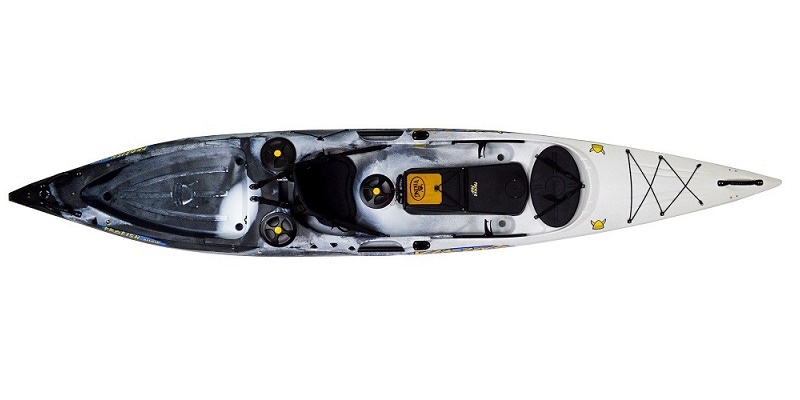 On the water the Viking Profish Reload is the kayak of choice for any kayak angler looking for a top notch touring hull combined with the stability, this makes the Reload the perfect kayak for longer distances paddling and getting to your off shore fishing marks. The Viking Profish Reload offers lots of storage space with a large tank well to the stern and a large hatch at the bow. 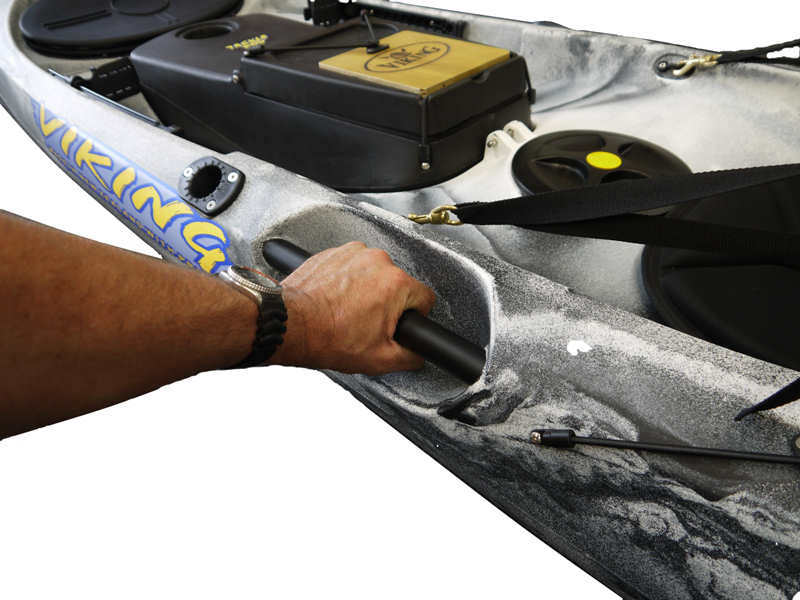 The Reload comes standard with the Viking Tackle Pod which is completely detachable from the kayak. 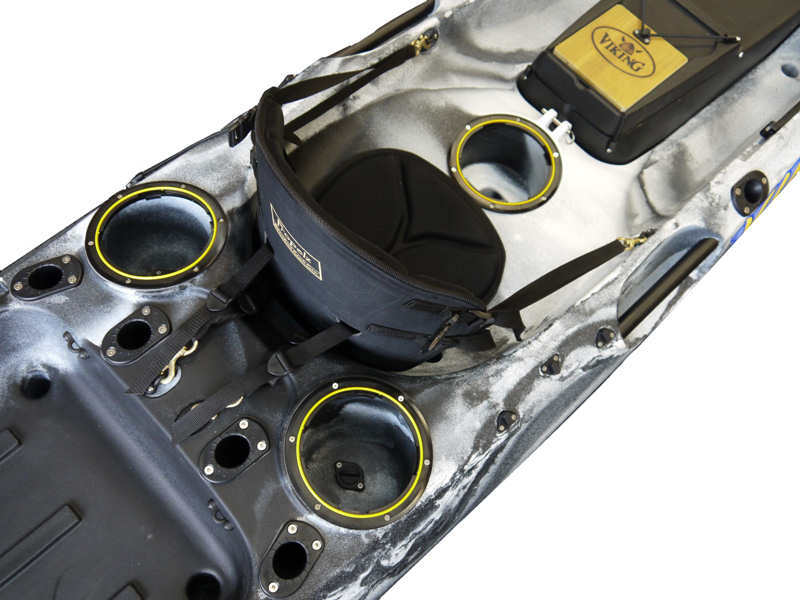 The Tackle pod is the perfect place to fix your electronics such as fishfinders and power supplies without have to drill holes in your kayak. The Tackle Pod offers a fully integrated and removable sounder, battery, and transducer setup combined with a large tackle storage space. Other features on the Reload include six flush mount rod holders, three twist hatches which are ideal for bait or wet tackle. The Viking Profish Reload is rudder ready and you can add a rudder (Sold Separately) at any point . You can also add the Optional Kids Pod System and Chill Pod™ System (Both Sold Separately). 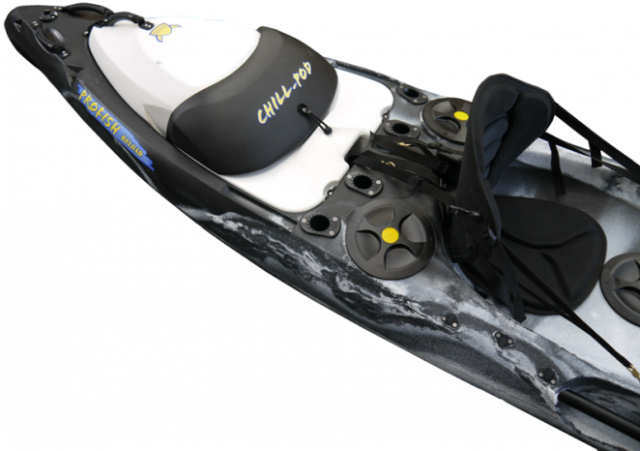 The Viking Profish Reload does not include a seat or paddle, we do stock a wide range so feelfree to take a look at our Kayaking Paddles & Sit On Top Seats. 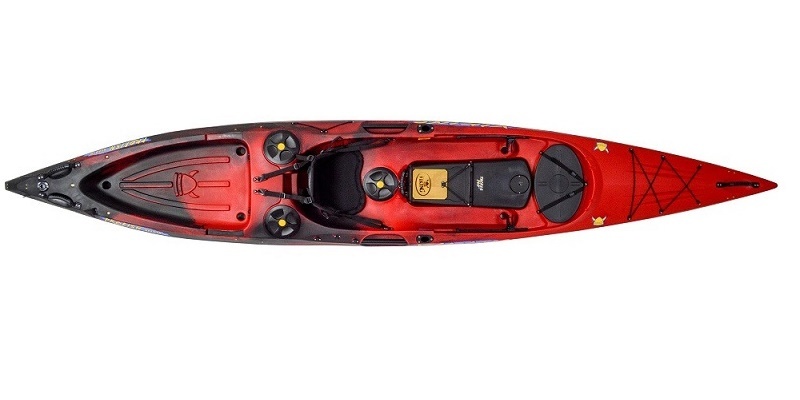 Read a review of the Viking Kayaks Profish Reload here. We offer a delivery service for the Viking Profish Reload (2017) throughout the UK & Ireland to home and work addresses. If you are local to our shop in Hamworthy, Poole then we may be able to deliver a Viking Profish Reload (2017) with one of our own vehicles. For boats, this is free to most BH Postcodes - please call us on 01202 625256 to discuss your requirements. Buy a Viking Profish Reload (2017) online from our website and collect from our shop in Hamworthy, Poole or you can collect from any branch within the Canoe Shops Group. There is no cost associated with instore collection.